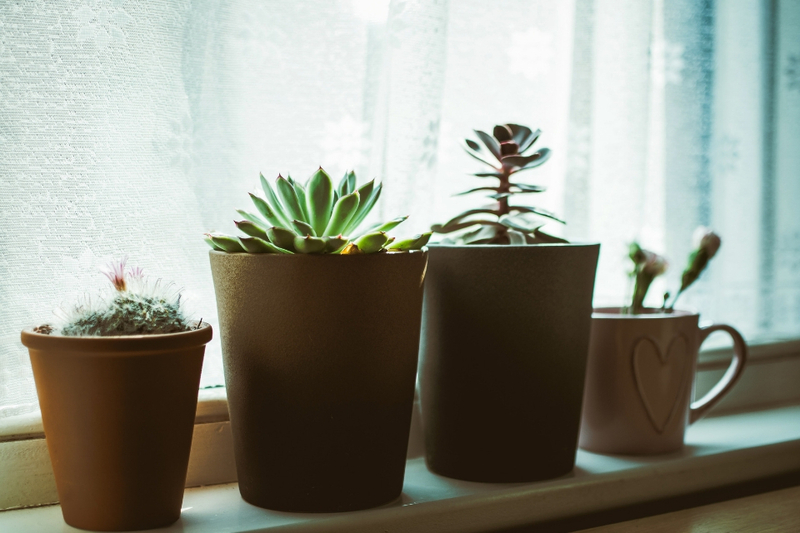 Growing plants inside your house is a great option if you don’t have enough space outside or if you want to prevent your plants from getting damaged. Indoor gardening also requires less work and there are no weeds to deal with unlike in outdoor gardening. What’s more, having an indoor garden is good for your health. Studies show that if you grow plants indoors, it can alleviate stress levels and improve focus and productivity, making them perfect not only for your home but also for your workplace. If you are new to gardening but interested in growing plants indoors, you may be clueless on how to start and how to pick the best plants for indoors. Before you start your gardening journey, you’ll need an effective and practical guide to plants and how to grow plants indoors. For a great start, here are some indoor growing tips you’ll find useful and effective. Plants need adequate light for photosynthesis and for them to produce flowers or fruits. Because your plants are inside your house, they can’t get light directly from the sun. Nonetheless, you can use grow lights to give your plants an ample amount of light they need. If you are growing herbs or similar plants that need a great amount of light, you can use fluorescent lights as they are bright enough for your indoor plants. The most efficient growing lights for your plants are high intensity discharge (HID) bulbs but they can be expensive so if you want a cheaper option, you can opt for incandescent lamps if you are not growing greens and flowers. You will know that your houseplants are not getting adequate light if their leaves are small, their stems are thin and their color is unusually lighter. Water is another important component for the survival of your indoor plants. All kinds of plants should be watered even desert plants like cactus and different succulents. While they need a lot of moisture, overwatering your plants can kill them as it will make the soil soggy, preventing the oxygen to reach the roots. Some plants need dry soil for days or even weeks while some types of plants need to be watered regularly. The best types of water you can use for your indoor plants are well water, rainwater and bottled water. You can also use tap water but never use softened water as they contain salt which will eventually build up in the soil. Air and humidity are also important when growing your plants inside your home. It is important that your house is well-ventilated or you can open your windows so your plants can get some fresh air. Air flow is important for their respiration and can also help reduce excess moisture in your plants. Humidity, on the one hand, is as equally important as the air flow. A lack of humidity in your house can affect your plants so you’ll need to increase humidity in your house, especially in dry seasons. To do this, you can run a humidifier and make good use of air movers. Air movers are great for controlling air quality and humidity level so they will be extremely beneficial to your plants. Indoor plants don’t really need too much space in your house. You can normally place them on a table or on a windowsill. If you are growing a lot of houseplants and greens, you may need to set up a bench or a table for your plants. Place a tarp under the bench or the table to catch the water drops from your plants. You can also use empty shelves but make sure each plant absorbs enough light. While soil can provide the nutrients that your plants need, there are some nutrients that are leached out from watering. To make up for those lost nutrients and refresh the soil, you should fertilize your plants but do not use too much fertilizer. While it can help the plant grow, it may also prevent the absorption of certain nutrients such as phosphorous which is necessary for cell division, growth and protein synthesis. Choosing the best houseplants for beginners can also be baffling. This is why you need to know the different types of indoor growing plants and their specific characteristics. If you are looking for cool plants to grow inside your home, your best options would be aloe plant and other succulents such as microdasys opuntia and zamioculcas zamiifolia. For house plants that grow in water, you can opt for African violet, begonia or impatiens. There are also large plants for the home to consider like yucca, Kentia palm and desert rose. Growing indoor plants will require some of your time so easy indoor plants for beginners will be perfect for you. There’s a wide variety of houseplants for beginners to choose from but make sure to pick inside house plants that will suit your goals, style, and preference. Like people, beginner houseplants also have different life spans so you need to take good care of them if you want to prolong their life. If they don’t last long, you can always move on with new indoor plants and this time, be more responsible and consistent. Always keep this houseplants guide in mind to have a fun and rewarding planting experience.